I earned my CPA designation and Master’s in Taxation over 20 years ago to help clients manage their taxes through creative and strategic tax planning, implementation of a tax planning plan, and then handling all of the tax preparation, bookkeeping and payroll associated with their individual and business needs. But one specific case showed me the value of proactive planning and reinforced my commitment to proactive planning. My client, who operated a home health care agency, had resisted my efforts to go beyond just recording the history she gave me. When we finally sat down to plan, I found over $175,000 in annual savings she had missed. Imagine cutting your tax bill by $175,000 per year, and you’ll see why tax planning is so central to my business! Creating and implementing the proactive tax plan strategies lets me help you a step further by implement the tax plan for you and then constantly reviewing it on your behalf. This gives you an extra layer of confidence and peace of mind knowing that your tax plan is implemented correctly and timely and the expected end results are being met. One thing I‘ve learned over my years of practice is that most of the tax plans are complex, and clients need someone to implement the plan for them because they are no tax experts. That is why they hire me. All of my tax strategies are IRS approved and court tested. I’ve never recommended a tax plan or strategy for any of my clients if I didn’t believe it would work for them, was a good fit, and saved them money. My individual tax clients are scattered throughout the United States in over twenty states and my business clients range from small one person operations to multi-million dollar corporations operating thought the United States. In addition, I’ve been professionally appointed by the U.S. Bankruptcy Court to work on approximately 65 federal court cases to assist the Bankruptcy Court Trustee with tax, forensic accounting and professional reports. I’ve provided tax planning, compliance and accounting services to Architects, Attorneys, Car Dealerships, Chefs, Contractors, Dentists, Engineers, Home Health Care Agencies, Insurance Agents, Pharmacists, Physicians, Real Estate Agents and Developers, Software Developers, Small Business Owners, Small and Medium Corporations, Trusts, and Estates to name a few. 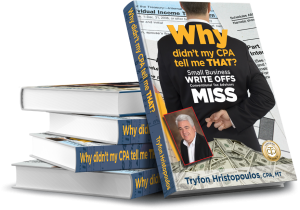 Tripp is a Certified Tax Coach and author of two books, Why Didn’t My CPA Tell Me That? 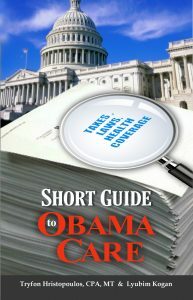 Small Business Write Offs Conventional Tax Advisors Miss and Short Guide to ObamaCare. 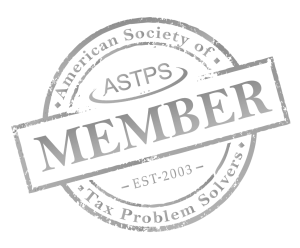 He is a member of the American Society of Tax Problem Solvers. 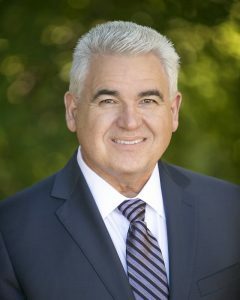 Tripp brings over 25 years of diversified accounting, tax and consulting experience to meet the needs of his clients. He enjoys helping owners of small and mid-sized business prosper financially. He works with all industries and has many clients in the medical fields and restaurant industries. Tripp earned his bachelor’s degree in accounting for the University of Colorado and his masters of Taxation degree from the University of Denver. He enjoys skiing, traveling, outdoors activities, and has been active over the years in civic and charitable organizations. He is married and the father of two children.